One of the highlights of the weekend for me is brunch, and an extra special treat is to have friends there enjoying it with me. Brunch must always include eggs, preferably poached or scrambled, and you can never go wrong with some crispy bacon and a Lincolnshire pork sausage on the side. I guess that’s the English in me, although now that I’m in my 30s and trying to be healthier, I’ve had to forgo fried toast, one of those things I devoured after a night out as a student in London, at the greasy spoon around the corner in Camden. Oh man did I love that fried toast! To quote the great author W. Somerset Maugham, if you want to eat well in England, eat three breakfasts. Well, if you want to find a good breakfast in Hong Kong, then Oolaa is a great place to look for it! 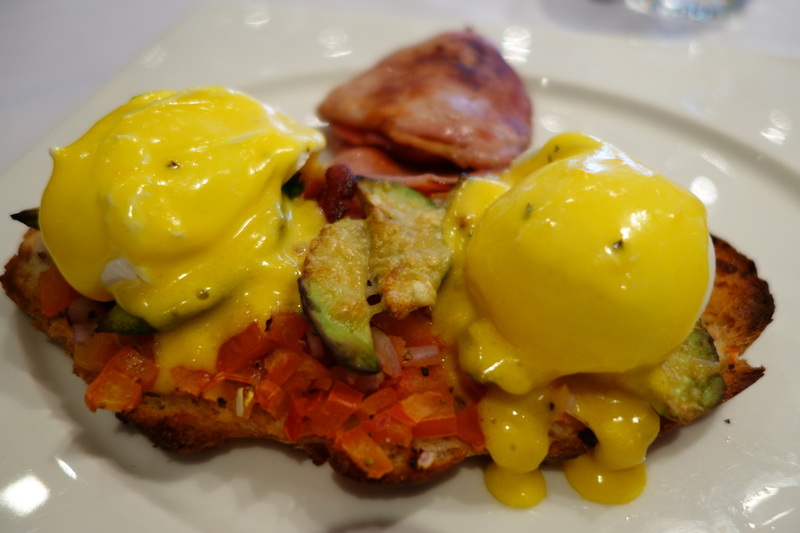 They do eggs really well, and my personal favorite is the Breakfast Bruscetta – diced tomato, avocado, parmesan cheese, red onion and basil on toasted sour dough bread, topped with two glorious poached eggs and a mean Hollandaise sauce. If you want to be healthier, you can always ask for the sauce on the side. And all of that for HK$95 – that is what I call value for money. 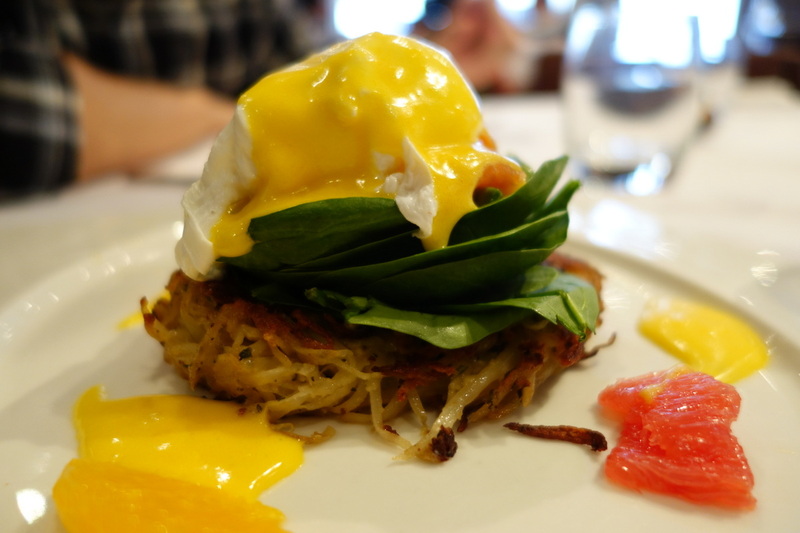 The smoked salmon Rösti is also a winner; the potato, spinach, salmon and egg are a gold medal combination! PB always finds this dish a bit on the small side for him, and if that’s the case for you also, order an extra two eggs on the side with toast for a crazy HK$35! Otherwise, if you’re not in the mood for eggs, you can always try out their pancakes, French toast or breakfast pizza, but I can’t say anything about them – I always go for the eggs. Oolaa is huge, a 6000 square foot venue housing a restaurant, lounge bar, cafe area and private dining area all under on roof. The dining room is cavernous, and they are always packed so make sure to make a reservation! The bar area is for walk-ins only, so you may want to try your luck with that if you can’t get a reservation. Have an egg-tastic time! You can check out their brunch menu here.